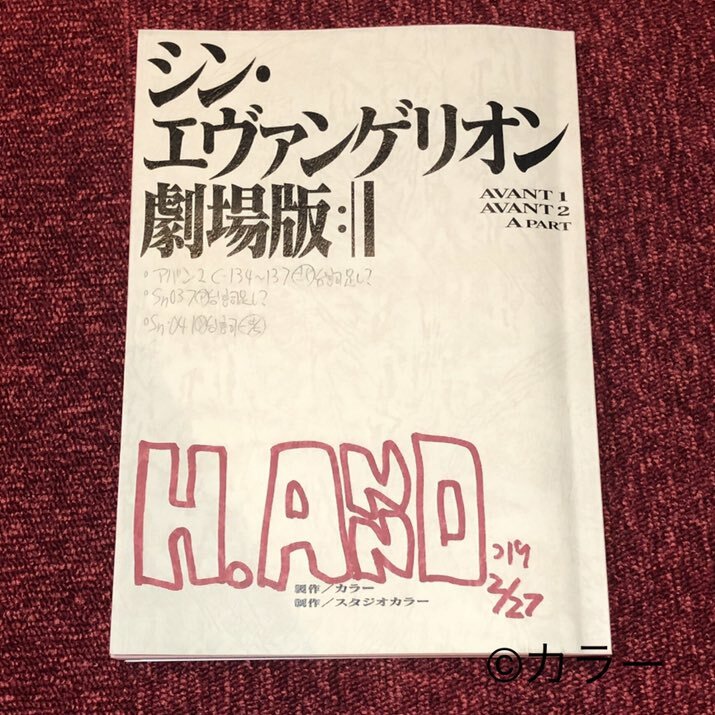 Earlier today the official Evangelion twitter account tweeted that dubbing has started and a picture of the script, signed by Hideaki Anno, and dated February 27th. Not to read too much into this, but at least it’s a sign that things are still moving in the right direction. Khara and the staff have been pushing the 2020 release date pretty hard, even selling merchandise with “2020” in it, so I think that at least this is a sign that the release is still on schedule. 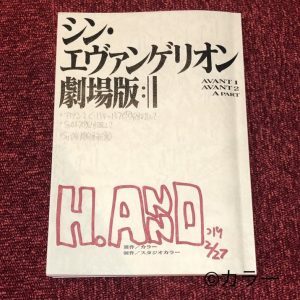 The script that appears in the photo is supposed to include “Avant 1”, “Avant 2” and “A part”, which are the opening stages of the movie. In addition, you can also check handwriting that seems to be a supplement to the lines of the three people, “Kita” (Midori Kitakami), “A” (Asuka), “Shi” (Shinji).